Have you noticed how most of the interior decor inspirations featured across the world come from primarily two geographical regions? Somehow, our mind and sight have been tailored to focus on western-inspired decorations that owe their origin to various European nations and the East for more “exotic” and enchanting details. 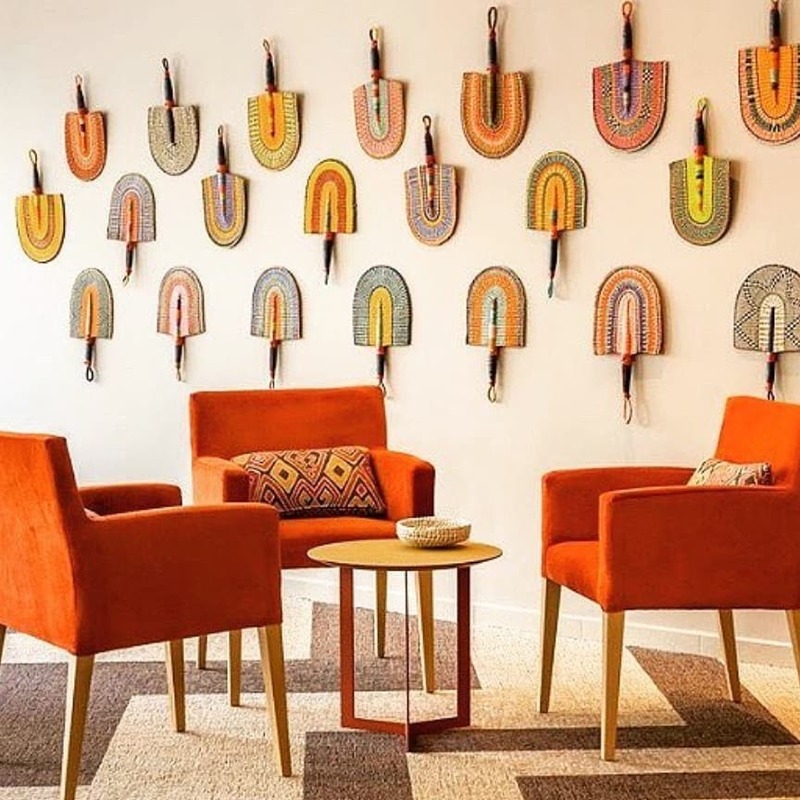 In the midst of the bustle for standout interior decorations, the beauty that is African-inspired decor is largely ignored. While it might not be a conscious choice, it still means that people tend to come across African-styled interiors far less frequently than is deserving; whereas African-inspired interior decor is one of the most creative and vibrant options for styling living spaces and beyond. African-inspired interiors mimic the natural African landscape, African structures, culture, sunset, wildlife and other aspects of African living. As such, African-themed living rooms bring alive the warmth associated with African lifestyles. For many of us seeing an African-themed living room is like stepping onto a utopic savannah. 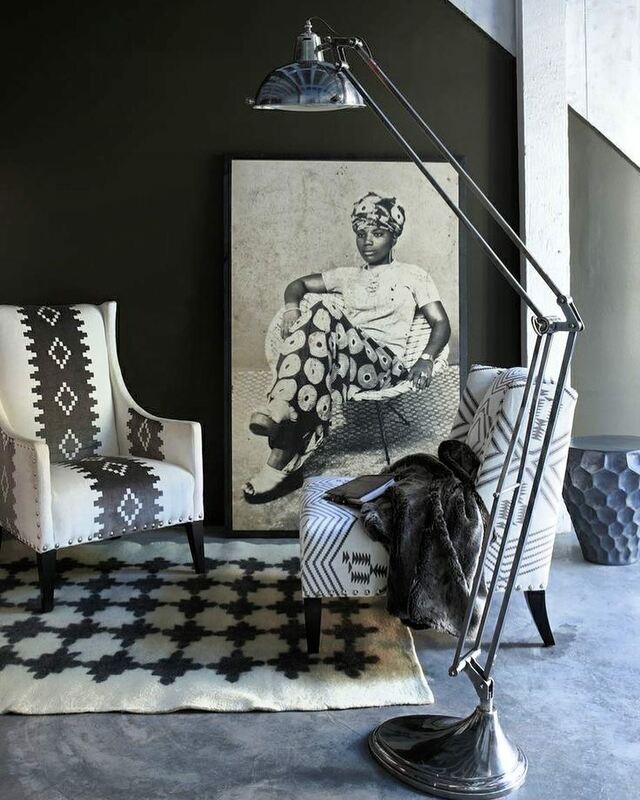 The history-filled accessories and rich earthy tones all add to the beauty that is African-inspired interior decoration. 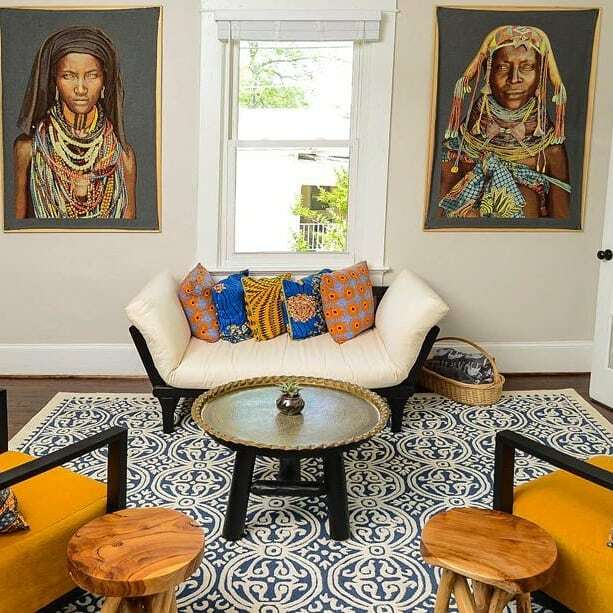 Going for an African-styled living room is all about reconnecting with nature and African culture and their raw beauty. Unlike many other themes, trying to add an African flavour to the room without using organic and sustainable materials is next to impossible; what a great way to invite nature, culture and history into your home. Wood in its various forms is an important constituent of the African design scheme. You have plenty of choices here with cedar, ebony or African mahogany among many other popular wood types. If you are opting for a full-fledged African look, then artifacts like woven crafts as seen above, and earthenware are also a simple yet great way of expressing the theme in its truest form. Randomly throwing in a rug with animal prints along with a matching throw pillow or two does not mean you have adopted the African style. If anything, such additions often seem more at home in a glamorous western way. 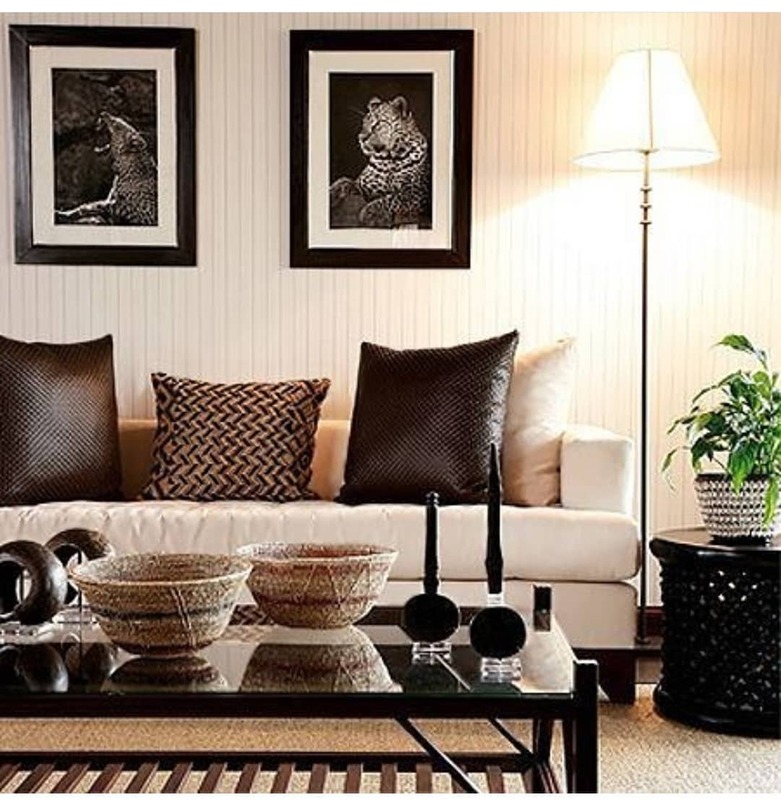 You can instead usher in a true African vibe in a delicate yet unrestrained manner by putting up portraits of African wildlife and woven art on the coffee table. Another clever way to usher in the African motifs without being all too obvious is by opting for a refreshing tropical theme. Apart from being a wonderful warm choice, this also allows you to blend decor and accessories from other cultures along with the African finds. Here, the cultural images of African women, wooden stools and Ankara throw pillows work so much magic, combined with other eclectic pieces like the rug and centre table. Some people appreciate a more laid-back, semi-minimalist approach to interior decor. Even if you are not lucky enough to own any African artifacts or textiles, you can still bring home a bit of the continent’s amazing aura by simply choosing the right colours. Nothing says Africa like inviting, warm earth tones – think rich shades of brown and orange. 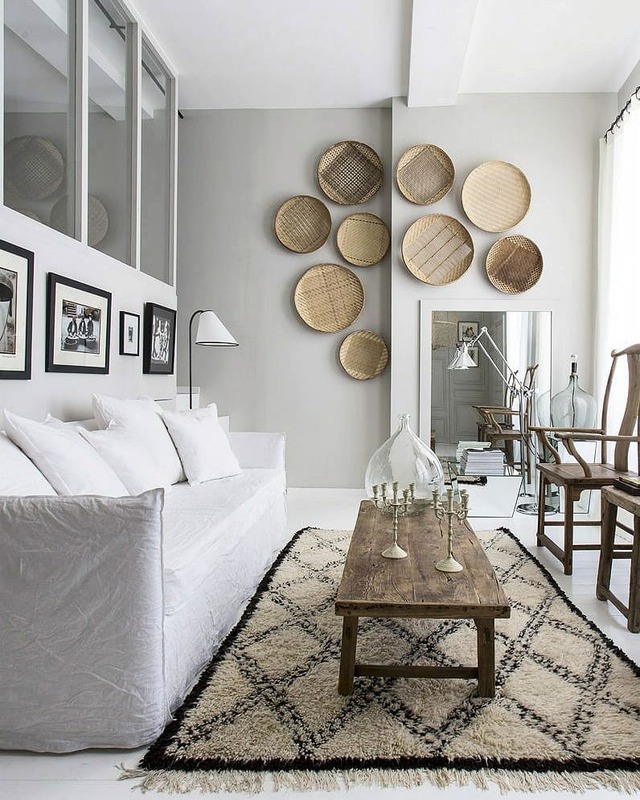 Throw on some raffia fans on the wall for an extra glamorous ethnic vibe. But ensure that instead of a polished look, the finish is a touch of rustic and raw. If you have the opportunity to build or redesign your upholstery, choose ethnic African prints in colours that compliment your interior. Africans create unique patterns that each hold a unique meaning. 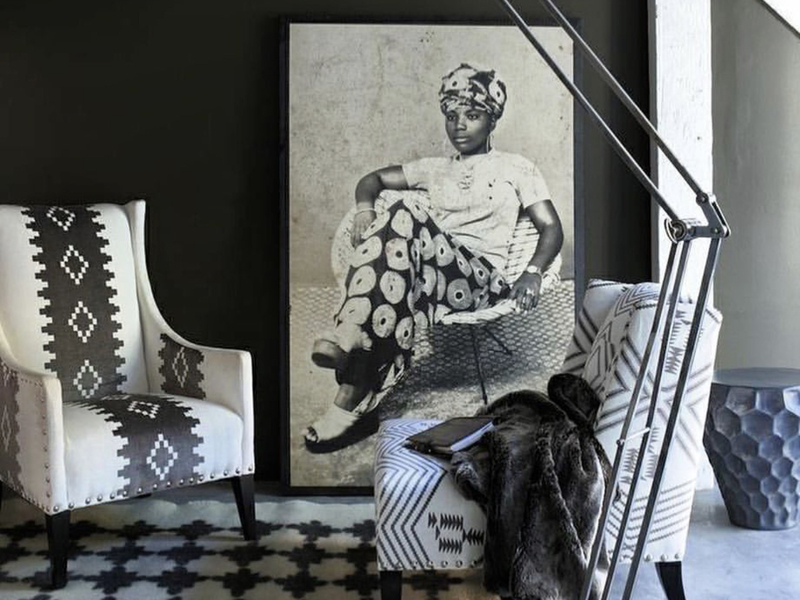 So, bring in a piece of African culture and history into your home and put up a large vintage photo of your mom or grandmother for an added rich and timeless feel.